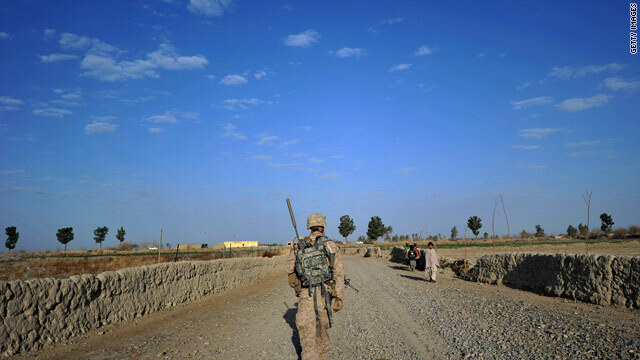 Editor’s note: Matthew Hoh served with the U.S. Marines in Iraq and on State Department teams in Afghanistan and Iraq and is a Senior Fellow with the Center for International Policy. Michael Shank is director of foreign policy at the Friends Committee on National Legislation. Daniel L. Davis is an Army Lieutenant-colonel. The views expressed are their own and do not reflect the views of the U.S. government or military. Diplomacy appears to be winning out, for now at least, in the debate over how the United States should respond to Syria’s alleged chemical weapons attack on its own people. The last minute halting of the march toward a military strike will no doubt have been a relief to many members of Congress and their constituents. But is this only a temporary reprieve from action? Most Americans would surely agree that the United States should only pursue military action where vital U.S. interests are at stake. But even a cursory look at America’s actual use of force over the decade-plus since the September 11, 2001 attacks suggests that these impulses are being ignored. 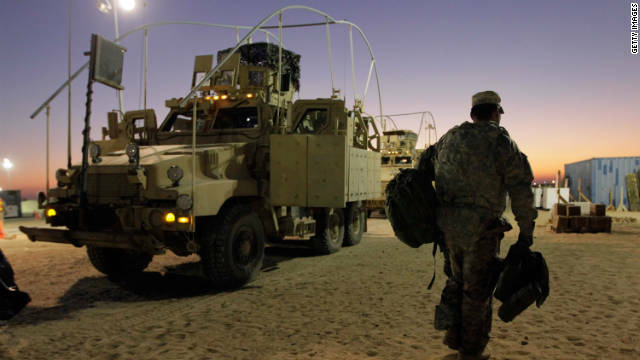 The United States invaded Afghanistan in 2001 and Iraq in 2003, ultimately deploying hundreds of thousands of ground troops to fight counterinsurgencies. The U.S. also deployed air and missile power against Libya in 2011, and the government has acknowledged utilizing lethal drone strikes in a number of countries including Yemen, Somalia, and of course Pakistan. The expected military strike in Syria fits well into the end of summer schedule. If we are to believe that the missile salvo will commence before the weekend, and we take carefully orchestrated leaks to be true, the boys will likely be back by Sunday. Squeezed neatly between the British parliament's debate on intervention (they are no longer a superpower, but they still do government accountability best) and Labor Day, a long weekend of targeting allows the political and diplomatic fallout to evaporate in time for President Obama and his European allies, David Cameron and French President Francois Hollande, to travel to Russia for the G-20. No spoiling the photo-op. What a relief that must be. Still, such a well scheduled war leaves the basic terms of our discussion unchanged and unresolved. Editor’s note: Dina Esfandiary is a research associate on the Non-proliferation and Disarmament Program at the International Institute for Strategic Studies. The views expressed are her own. 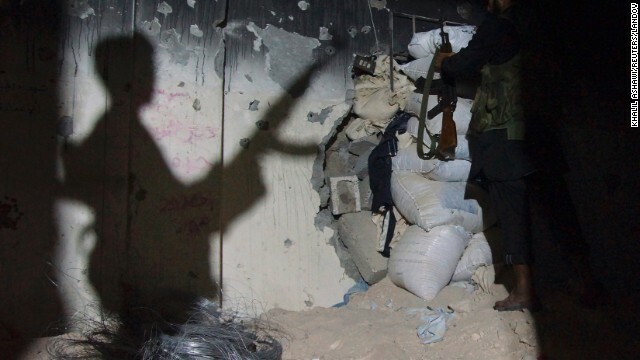 The red line has now been crossed in Syria, and calls for intervention have intensified. Yet as things stand today, the United States has little or no hope of making a decisive impact on the course of the war. If President Obama wants to maintain credibility by responding to the alleged use of chemical weapons by Bashar al-Assad’s forces while minimizing U.S. involvement, he should make sure any intervention is couched in simple terms: anyone using or proliferating weapons of mass destruction will be punished. 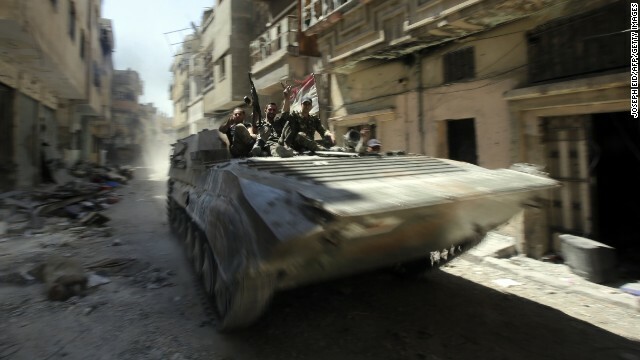 The al-Assad regime has shown tremendous resilience during more than two years of fighting. Defeating them while securing Syria’s chemical weapons will not be possible without a significant ground presence, something currently not on the table. Yet the war cannot be won from the air. Airstrikes are an attractive option, but unless they are in combination with ground forces they wouldn’t be decisive. They would have to take place on too great a scale to cripple the al-Assad regime – the casualties would be too daunting, and the commitment too heavy for this to be an option today. Editor’s note: Joseph Singh is a research assistant at the Institute for Near East and Gulf Military Analysis (INEGMA) North America. The views expressed are his own. Amid emerging chaos in Egypt, daily bloodshed in Syria and uncertainty over how Iran’s new president will handle nuclear negotiations with the West, the increasingly complex security environment in the Middle East has complicated U.S. efforts to undertake the fabled pivot to Asia. At the same time, fiscal woes dictate that the Pentagon prepare to do more with less, even in an environment where U.S. adversaries are finding increasingly cheap means of challenging the conventional instruments of American power projection. These realities make it all the more perplexing that many defense analysts have dubbed the Pentagon’s new operational concept – called “AirSea Battle” – a plan to fight a war with China. In fact, AirSea Battle may very well be more about the Middle East than the Pacific. According to the 2010 Quadrennial Defense Review, a publicly released report by the U.S. Defense Department analyzing military objectives and potential threats, AirSea Battle seeks to “address how air and naval forces will integrate capabilities across all operational domains – air, sea, land, space, and cyberspace – to counter growing challenges to U.S. freedom of action.” To be sure, these challenges to U.S. freedom of action are certainly most pronounced in China. But they’re present in the Middle East, too. Editor’s note: Khairi Abaza is a senior fellow at Foundation for Defense of Democracies. The views expressed are his own. The overthrow of Mohamed Morsi last month left the United States with a dilemma – should it continue to offer aid to Egypt as normal, or should it cut off the about $1.2 billion a year that goes to the military in protest at what is widely seen outside Egypt as a coup? McCain appears to have softened his position, suggesting instead last week that the U.S. should consider cutting off aid if “they go ahead and crack down in a violent way.” Regardless, the idea is clear: halting assistance would pressure the Egyptian military into handing control of the government back to a civilian administration as quickly as possible. But such a policy would not be without consequences for the United States. After all, this episode has pushed Egypt to find new allies – and to diversify its sources of armaments and military training. The reality is that the Egyptian military has not only been a source of stability for the United States in an otherwise turbulent Middle East, but it has also been a cash cow. Currently, the Egyptian military relies on U.S. military equipment, training and services. This reliance means that Egypt is essentially a client of the U.S. military complex, and aid money is in fact re-injected back into the U.S. economy. Cutting off these armaments and services means that these funds will be diverted to Russian, Chinese, or French coffers. An end to the current relationship would also clearly mean less leverage for the United States, and the diversity that Egypt’s army is currently seeking would mean that no single country could have the type of leverage the United States has over Egypt. The country’s military would be even harder to influence, and given its current power over the country, this is clearly a dangerous prospect. But an end to the current relationship would also have a direct and deleterious impact on American interests more broadly. An end to aid would threaten the durability of Egypt’s critical peace treaty with Israel, not to mention the current agreement that guarantees the safe and reliable passage of U.S. military ships and equipment through the Suez Canal. An end to U.S. assistance would also throw into doubt Egypt’s dependability in times of crisis. The U.S. has engaged in countless military exercises with Egypt to prepare for multiple scenarios, and it would be a tremendous (and costly) shame if the U.S. walks away from such an investment. To be sure, the end of U.S. assistance would be inconvenient for Egypt. But it would not be fatal for its military or political system. 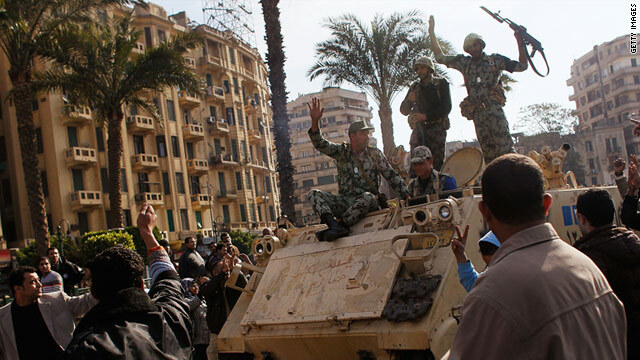 The army’s commander, Abdel Fattah al-Sisi, knows that Egypt would survive without it. That’s why he continues to highlight Egypt’s two centuries-old struggle for national sovereignty and free will – a theme that Egyptians appreciate. Al-Sisi also knows that this would not be the first time Egypt has switched military alliances. After the 1952 military coup, President Gamal Abdel Nasser was a Western ally until the West refused to fund his High Dam project. He subsequently turned to Moscow for help and became a Soviet ally. Washington was not able to bring Egypt back into the Western fold until 1978, leaving a period during which Nasser’s populism was a source of instability for the region, underscored by the wars of 1956, 1967, 1973 and Egypt’s war of attrition with Israel. The toppling of Morsi will remain a source of controversy for years to come. But whether it was a coup, a revolution, or a coup-volution matters little now. What is important is that the United States maintains its crucial relationship with Egypt to safeguard the safety and security of the Middle East for years to come. U.S. threats to cut aid only encourage Egypt’s military leaders to seek new allies – allies that will almost certainly prove to be American adversaries in the future. And quite likely not friends of Egyptian democracy, either. Editor’s note: Michael Kugelman is the senior associate for South Asia at the Woodrow Wilson International Center for Scholars in Washington, DC. You can follow him @michaelkugelman. The views expressed are his own. U.S. President Barack Obama is seriously considering the possibility of removing every U.S. soldier from Afghanistan by the end of 2014. This news is significant, but hardly surprising. After all, ever since he took office, Obama has appeared uncomfortable about long-term troop commitments. He has frequently sparred with military commanders who want more troops and time than he’s willing to provide. Obama’s reluctance was crystallized by, ironically, the troop surge of 2009. Even as he authorized the dispatch of 30,000 more troops, he ordered that they begin to withdraw just 18 months later. Given this unease, Obama will need strong assurances that leaving a residual force in Afghanistan after 2014 would serve a necessary purpose. Increasingly, it appears this wouldn’t be the case. This suggests Obama could well choose the zero troop option. It would be the right decision. What should the U.S. and its allies make of China’s rise? What military challenges does it pose? And what kind of shape is America’s military anyway in to respond to changing realities in the Asia-Pacific and elsewhere? U.S. 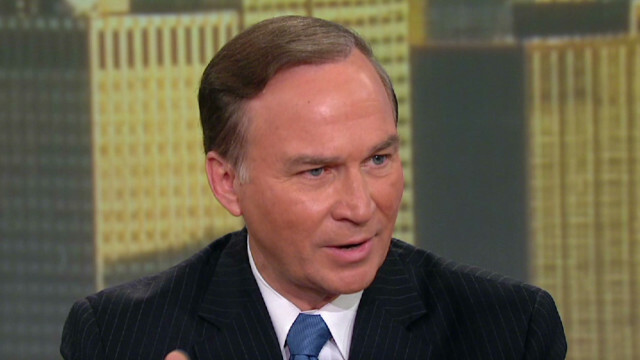 Congressman J. Randy Forbes (R-Va), chairman of the House Armed Services Seapower and Projection Forces Subcommittee and co-chair of the China Caucus, will be taking GPS readers’ questions on these and other issues. Please leave your questions in the comment section below. Editor’s note: Guy Anderson is Chief Industry Analyst (A&D) for IHS Jane’s. This piece is based on data taken from IHS Jane’s latest study, ‘The Balance of Trade.’ The views expressed are the writer’s own. Defense cuts expected to be announced by the British government on Wednesday will be only the latest example of how the West is sowing the seed of its own decline in global defense markets, as cuts force industry to export more of the blueprints of its expertise. True, industry doesn’t really have any choice. But the explosion in exports is still leading Western countries to pile into export markets, devouring each other as they fuel the rise of Asia. Indeed, it’s increasingly clear that in the long term, ongoing defense cuts are putting at risk not just the future job prospects and global influence of the United Kingdom, but also those of European defense and the United States, too. For a start, these cuts will erode the long term technological advantages that Western countries traditionally hold. Export today is about selling the blueprints of expertise rather than just finding buyers for the finished product – the days of simply selling equipment are gone. Traditionally, countries maintain an edge because government investments encourage research and development, something that has declined sharply in Western markets in recent years. Editor’s note: James Holmes is professor of strategy at the U.S. 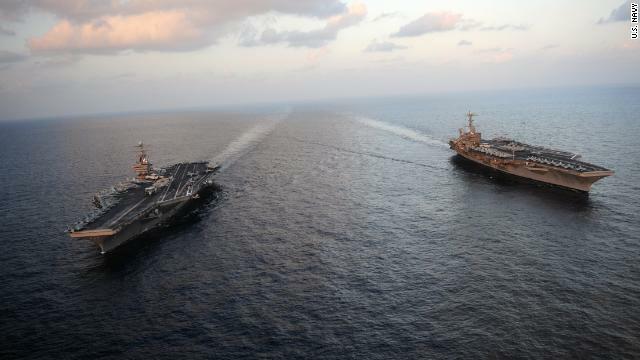 Naval War College, coauthor of Red Star over the Pacific, and writes at The Diplomat. The views expressed here are his alone. From the mouths of students comes wisdom. Of Imperial Japan and its depredations, a former student wisecracks: before there was Pokémon, there was Hegemon. This jest should be the watchword for Japanese diplomacy as Tokyo explains its move to a more offensive-seeming military strategy, and its acquisition of more offensive-looking weaponry, to Asian peoples mindful of its imperial forerunner's transgressions. 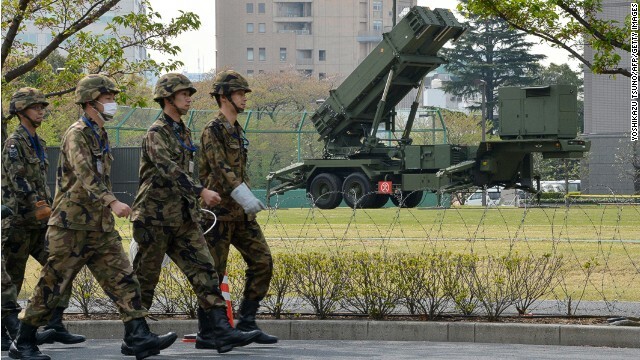 What Japan appears to be doing – amassing the wherewithal to strike back at missile launchers and other enemy sites after riding out an initial assault – makes eminent operational and tactical sense. Convincing foreign audiences of that will be the hard part. The image republican Japan projects of itself – one of a strictly defensive great power, intent only on keeping what now belongs to it – is something that demands constant upkeep. This is the bequest, and the burden, of the past for contemporary Japan. It will take a convincing, long-term, oft-repeated message to banish lingering memories of Hegemon from discussion of Japanese foreign policy and strategy. The problem before Prime Minister Shinzo Abe and his lieutenants is that debates over the offensive or defensive character of a nation's strategy take place on multiple levels. What seems commonsensical on one level may prove controversial or even self-defeating on another. Editor’s note: Adam Lowther is a non-resident senior fellow at the Center for the National Interest in Washington, DC and author of Deterrence. The views expressed are his own. Congress, at least in the eyes of its critics, may not seem able to get very much done these days. But a House of Representatives subcommittee got at least one thing right last week when it voted to block the Defense Department from closing domestic U.S. military bases and installations. 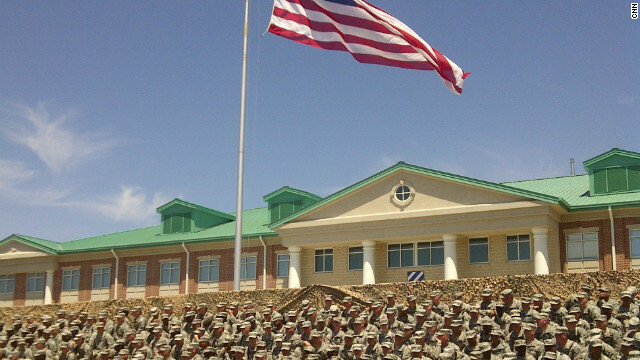 The vote comes against the backdrop of sequestration – the forced budget cuts in Washington – and suggestions from Department of Defense officials that a new round of base closures is necessary. But Secretary of Defense Chuck Hagel should not yield to the growing chorus calling for another round of realignment to follow the five previous rounds that took place between 1988 and 2005 and that saw the Army, Navy, Air Force, and Marine Corps absorb 97 major base closures as part of the post-Cold War military drawdown. Yes, we should take a hard look at the budget numbers. But those pushing for closures are missing the true value of these bases. 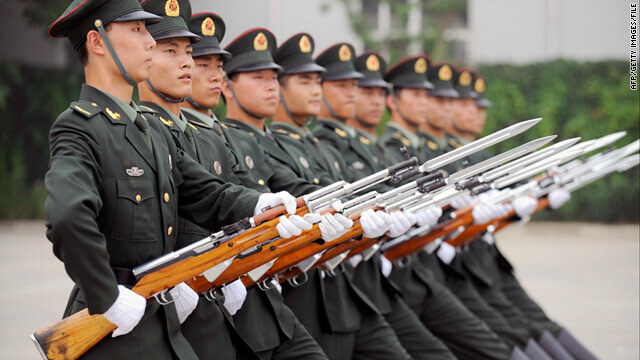 While it is difficult to applaud the PLA for declassifying information that was already common knowledge (see, for example, the sinodefence.com page on army organization, last updated four years ago), more transparency is certainly better than less. Still, the American focus on Chinese transparency is misplaced. 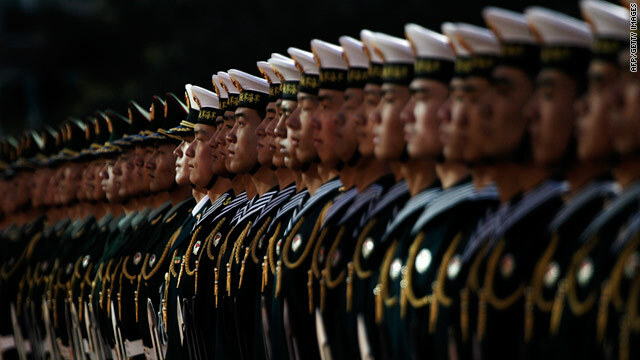 Of course, the Pentagon would like to see its Chinese counterpart be more candid about PLA capabilities and investments; to the extent the United States can coax China towards such candor, it should do so. But disclosures like those in the Chinese white paper do little to address the underlying problem in the U.S.-China relationship: a dearth of strategic trust. As speculation grows that a North Korean missile test could be imminent, discussion has turned to the question of whether the United States should shoot down any missile fired, even if it appears heading into the ocean. CNN’s Wolf Blitzer speaks with Fareed Zakaria to get his take on the latest developments and why China is key to resolving the current tensions. What do you make of Senator John McCain and some others who say if they launch a missile, shoot it down, intercept it, destroy it – even if it's heading into the middle of the water? Obviously if it's heading toward a populated area in Tokyo or Guam or South Korea, that goes without saying. But just knock it out to make a point? I think it's a very good example of the difference between what a John McCain foreign policy would be and what President Obama’s has been. President Obama throughout this has been trying to show some restraint, not to play into the kind of the yank your chain that the North Koreans are trying to do. 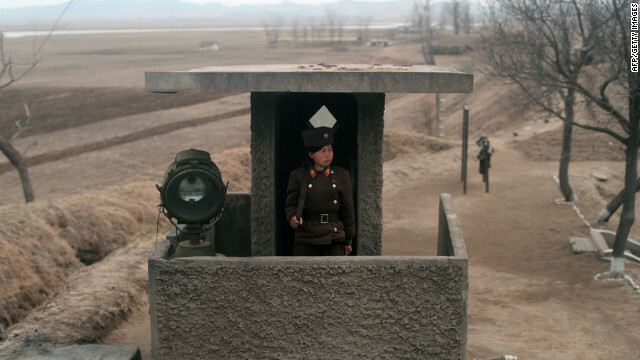 The North Koreans are desperately trying to get attention, to get some kind of negotiations going, to get concessions. So they have been threatening, clearly like a child who keeps screaming and has not been paid attention to. They're screaming more and more loudly.